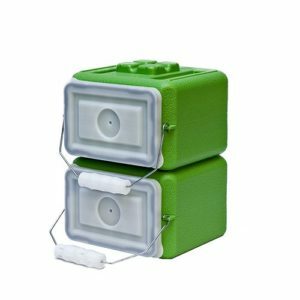 Std FoodBrick Green 3.5 Gallon – 10 pack - WaterBrick | Building Hope...Saving Lives! 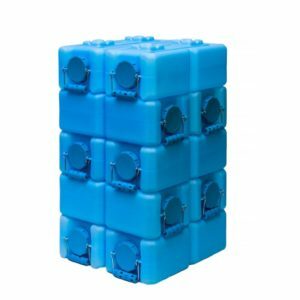 Buy In Bulk Save 5% More. 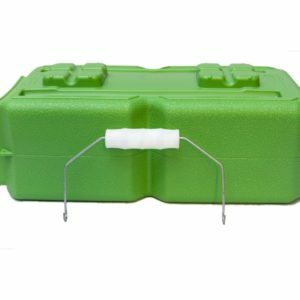 This bundle pack of 10 Standard 3.5 gallon FoodBrick containers are equivalent to a 35 gallon drum storage size. 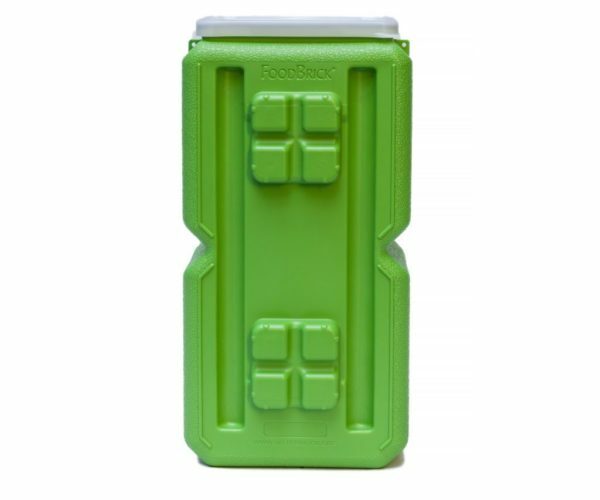 There are several big differences: (1) FoodBricks Take Up Less Floor Space; they stack efficiently as a cube, (2) FoodBricks Store Individually; they can be broken down to fit in closets or under beds and (3) FoodBricks Are Grab & Go and easy to carry individually; take them where you need them. 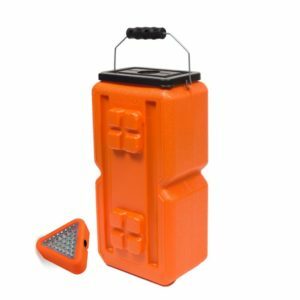 These unique Food Storage containers, unlike any other, can hold food and other life essentials and add value by cross stacking up to 4 feet for maximum efficient storage. 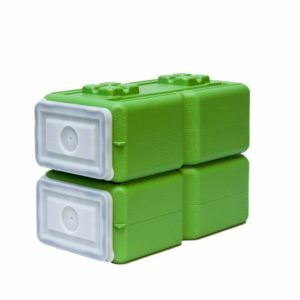 FoodBricks work and act like bulk storage but carry like containers; like no other on the market. 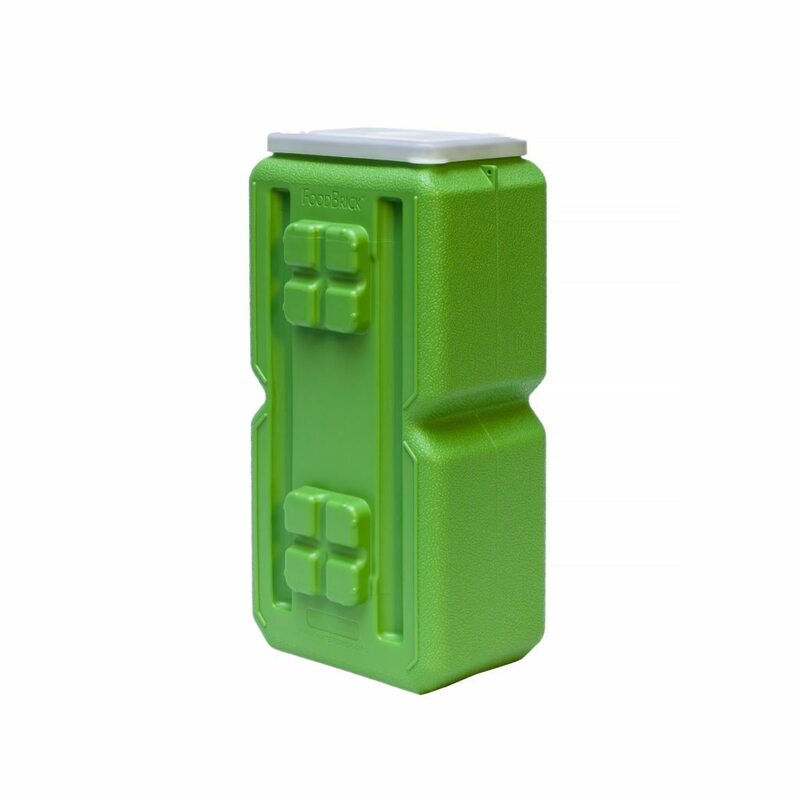 FoodBrick food storage containers and WaterBrick water storage containers can interlock and cross stack together making it a unique water and food storage “system”; unlike no other. No matter how big or how small your house, most people fill it to capacity. FoodBrick and WaterBrick together help you maximize what little space you have left or add space you don’t have (i.e. 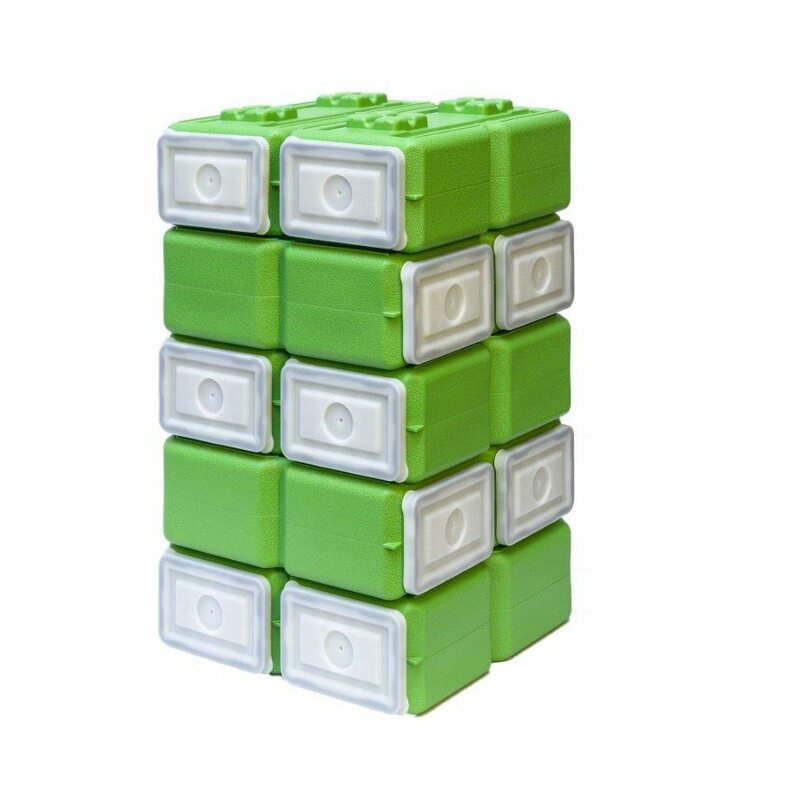 cross stack them like the base of a coffee table, put a glass top on the cross stacked container base, add a table cloth, and you have added storage space).